This is an example “Promotions” page on the Local site. You can edit or delete it. My daughter attended the Little School of Waldwick and they are great. My daughter has a learning disability and Miss Maria was great with her. She improved so much and did great when she moved onto kindergarten. Thank you Little School of Waldwick ! 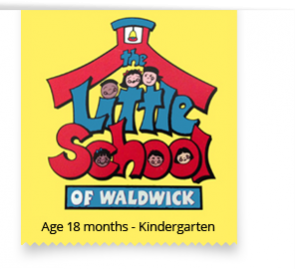 Little School of Waldwick is FANTASTIC! Both children attended for 2 years each prior to Kindergarten. They were well prepared for their elementary education. Mrs. Maria & staff are wonderful. The facility is clean, comfortable & safe. I couldn’t be happier with the decision I made for my children & their pre-school experience. My oldest is now a steaight A 5th grader !!! Small classes, bigger results should be the motto for The Little School of Waldwick as its nurturing atmosphere is perfect for children. With its exceptional staff, no child is forgotten while gaining the necessary confidence in becoming a valuable member of the society. Also, the children learn to work together and be productive. It’s a family atmosphere that teaches children firm values and invaluable skills that a child will take with them as they continue their education. Top notch!